A request came in last week for a map of the 7MSN. Diane said, "I would like to have a mind-picture of the layout so that I can follow in your (and the four-footed people's) footsteps as you go about your day." and make some sense out of what you see here every day. Think of the ranch as a great big rectangle. The long sides of the rectangle are a half mile, the short sides are a quarter mile. Divided in half, the rectangle amounts to two 40-acre squares. 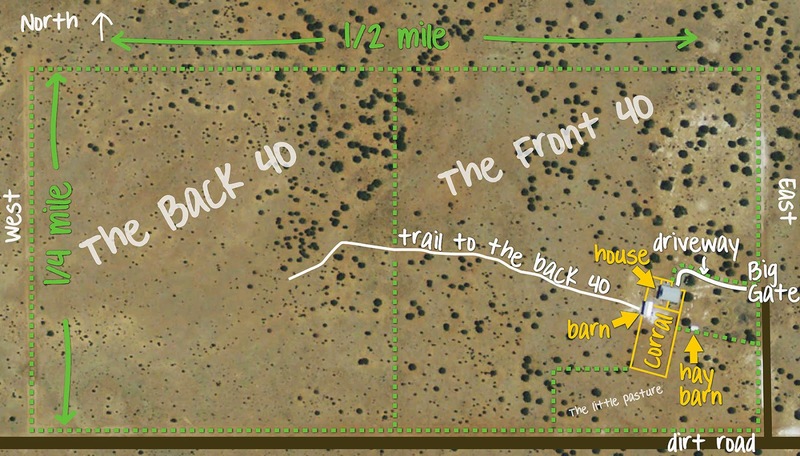 The dashed green line in the drawing is the fence. I fenced the 40 acres where the house sits first, so I call that the front 40. I fenced the other 40 acres last, and it has since been known as the back 40. A cross fence splits the ranch in half, and there's a gate in the middle, which I usually leave open. The ever-deepening trail that leads from the barn to the back 40 heads right through that gate. The house faces west, more or less. I found the drawing below in a post about poop from 2011. It might give you a better idea of the inhabited corner of the ranch. Diane, I hope this helps explain what's where and where's what. Thanks for asking the question. Anybody else have a question? Something about the animals that you'd like to know? Not much has been happening around here lately and I'm running out of things to write about. I love how the poop track shows on G.Earth. And I bet the #1 item on Smooch's wish list since forever is a run surrounding the entire house. How far are you from your nearest neighbor? And how far from your beloved Walmart? Neighbor, one mile. Walmart, 39 miles. History of Hank, please. Complete with baby pictures if you've had him that long. Oh, you betcha .. I've got lots of questions. How are the chickens faring? How many eggs do you get from them each week? PS .. I think that all of your blog buddies will agree that we don't need comments; pictures say it all. It's like our "Calgon, take us away" moment! How about a few "reruns?" Your earliest posts -- telling how all things "7 MSN" began. How you first got started in New Mexico, and re-introduce how you got some of your many animal friends? What about a detailed show & tell of Lucy's tack, plus how her saddle came about? And does the road really end at your driveway? 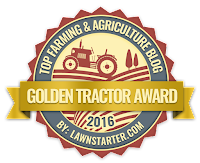 How has the solar water tank worked out? What temp does it work down to? And feeding - what do you feed? My son asks, "How far away from the nearest hospital is she?" Ha! About 65 miles, I think. I would love to know more about Hank, or link to posts that tell his story. I enjoy your photography......minimal words needed if at all. 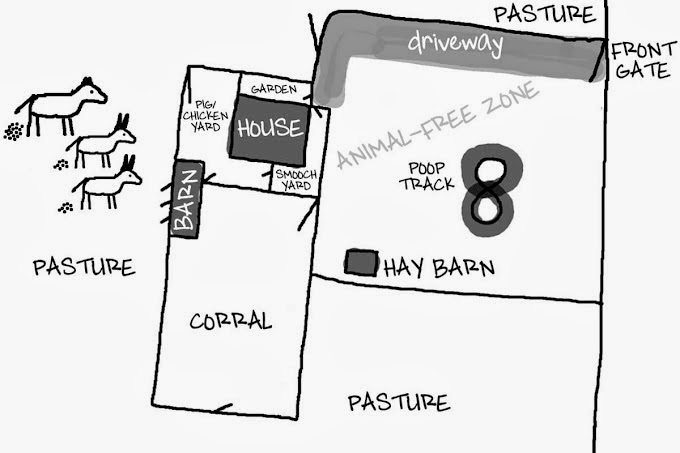 That is nice to see your map of the ranch, and where the fences and buildings are. Carson, me too! (Running out of things to write about...) Fortunately, I got out a little bit Friday and I did make it up the mountain yesterday. I saw a herd of 8 bighorn sheep, stopped, watched them, and took photos. Had a good day, too with the horses! Got all 5 of them out for R&R, grooming, and some lovin'! I've been sick with a virus for over 6 weeks now and, after day 4 of antibiotics, I FINALLY felt normal yesterday! in the past, you entertained us with some of your cooking exp. Are you still making your own bread? and all the pumpkin stuff you love? Do you have holidays project? Also, you could take some time off your blog, just tell us beforehead otherwise we become so worried of you. For ex, you could say: I will take a one-week off-writing and see you back on April 1 with new stuff. Do you have a back up generator? How long have you gone without power? Have you ever considered solar panels? Hubby wants to know if the equines get grumpy & chase people? He was once chased by an old donkey years ago & he's still not over it! And when I say chased, it was more like a brisk walk! Would you ever consider a second dog, a pal for Smooch? Ok, I'm out of questions ....for now! Geez...I forgot how much land you have. We only have two and a half acres. We have been busy getting rid of toxic weeds the last few weeks. How do you manage by yourself? I live in fear that our mini donkey or one of the horses will ingest some that we might miss. We also have two dogs. Have you ever considered getting a companion dog for Smooch? Do you know or ever see any of your neighbors? I too want to know more about Hank! Is there some reason that you ride Lucy but never speak of riding Hank? I also echo the question about tack & such for Lucy; & could you speak to how riding a donkey is different from a horse (for those of us who have never had a chance to compare)? Of course the photos 7 videos are wonderful, but I also visit for the stories, your commentary, and the 'conversations' with & amongst the animals. Also, do you think you will ever get another pig? I loved the Wynonna posts.